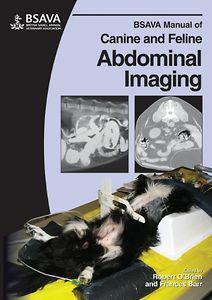 The BSAVA Manual of Canine and Feline Abdominal Imaging is the third Manual in the diagnostic imaging series. The first section of the Manual outlines the approach to abdominal imaging, with chapters dedicated to radiography and ultrasonography. The remainder of the Manual is devoted to the individual body systems, including the liver and gallbladder, the kidneys and ureters, and the small intestine. Extensively illustrated throughout.